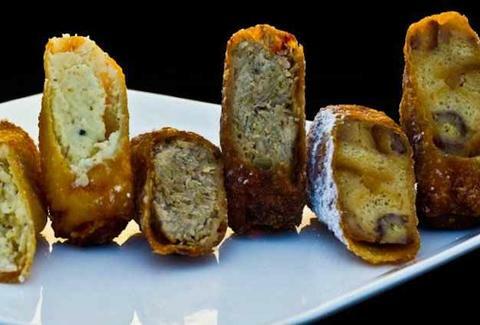 Someone had the genius idea of taking all of the things that make a Philly cheesesteak delicious (cheese and... um... steak), stuffing them in a wrapper, and deep-frying the guy. Like we said: genius. 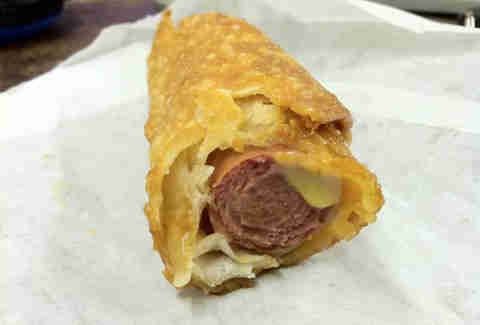 At some point in your life, you've probably thought, "What if someone took a hot dog, dipped it in cheese, wrapped the whole guy up in an egg roll wrapper, and deep-fried it"? The guys at Yaki's thought that too. The difference is, they actually did it. 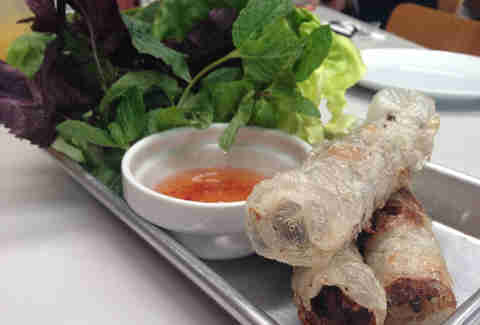 This Vietnamese bistro's become a go-to for interesting Asian dishes (pho banh mi and Brussels sprouts with octopus, FTW! 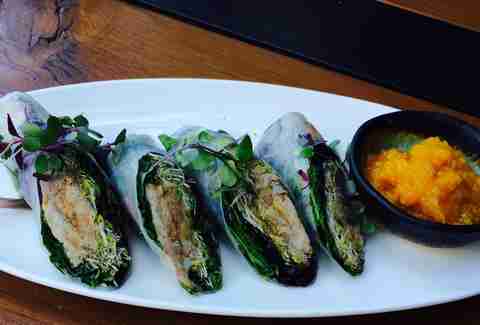 ), not the least-exciting of which is the roll, which is filled with classic lemongrass and far-more-interesting-than-classic grilled sausage on the inside. This truck-staurant rolls around on four wheels just throwing out a shton of amazing egg roll insanity. The Rueben's stuffed with coleslaw and pastrami (!! ), while the Big Tuna's got fish and potato salad. 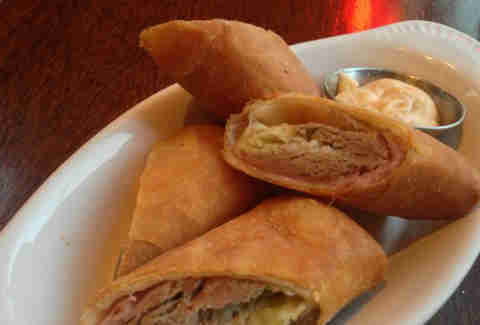 This neighborhood favorite's got some island flavor in its Monte Cristo rolls; they're stuffed with 12-hour-roasted pork shoulder, then ALSO stuffed with ham and cabbage, fried in a lumpia wrapper, and served with spicy bang bang sauce. 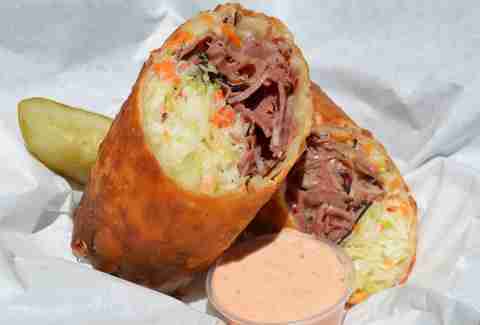 Similar to Louie's, this South Bay spot is dropping Kalua pig in its Monte Cristo egg rolls too, but with some Diners, Drive-Ins and Dives cred. 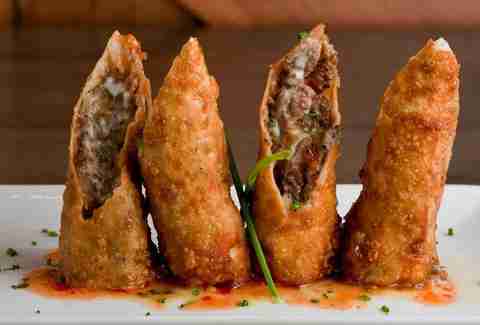 At this new-ish steakhouse, dessert's deep-fried... and that means egg rolls stuffed with cheesecake. Yeah, seriously. 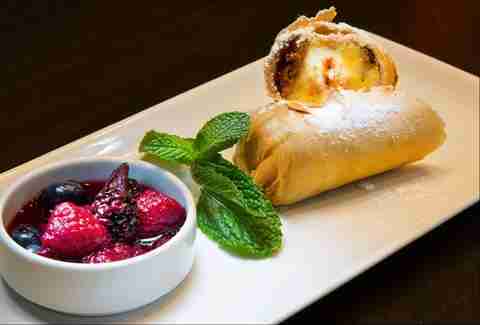 This usually Mediterranean spot's getting its Asian on with this sadly un-fried egg roll (fine, "Spring roll"), which nonetheless is deliciously stuffed with confit chicken and served with a sweeeeeet apricot jam. 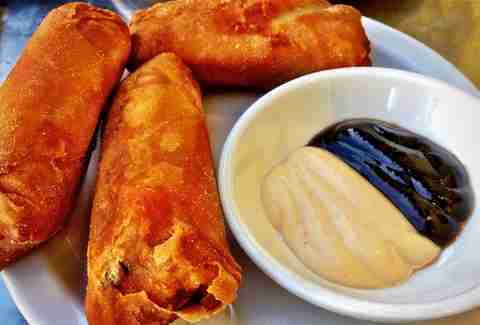 Jeff Miller is Thrillist LA's Senior City Editor and thinks more things should be made in egg roll form (we're looking at you, pizza). Follow him on Twitter and Instagram.